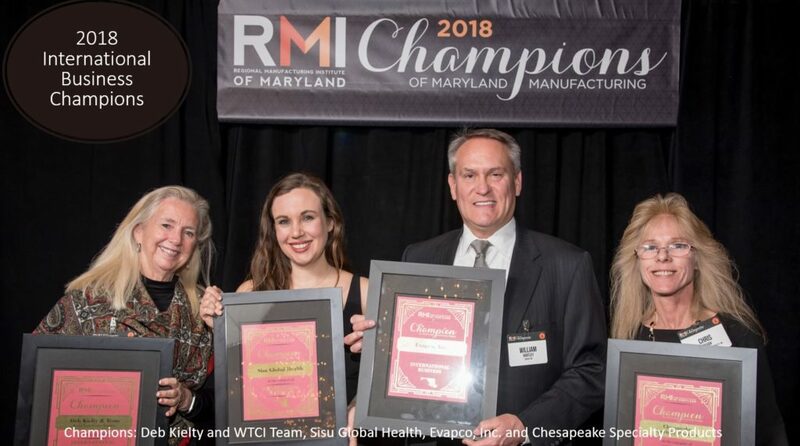 Champions in this category are organizations or individuals that have played an instrumental role in attracting overseas manufacturers to Maryland or exporting Maryland manufactured products overseas (more detailed Champions features can be found in the 2018 Champions Yearbook). Baltimore County’s Chesapeake Specialty Products Expanded sales in Europe and Asia and, their expansion into Turkey and East Asian markets contributed to increased international sales, which comprise 40 percent of total overall sales. Baltimore City’s Sisu Global Health’s Hemafuse, the company’s flagship medical device product, was built in Baltimore from a 3D printed idea to a fully manufactured product which is now being sold in Africa and soon to be sold in other emerging market regions.